UNIX Gallery is proud to announce that Marcello Lo Giudice's work will be on display at The State Russian Museum until May 15, 2017. Lo Giudice graduated from the University of Bologna with a degree in geology and then attended the Academy of Fine Arts in Venice. He works with the abstract line and uses special figurative means to represent the geographical forms and processes, in which he manually creates a texture surface, where the form materializes in color and the texture irregularities cast relief and shadows. 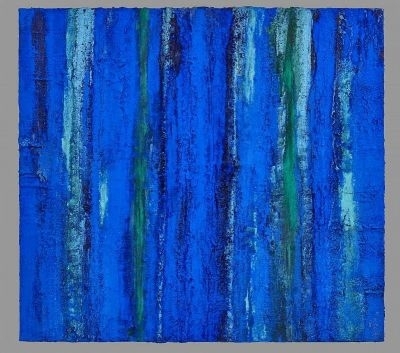 His abstract works are metaphoric and become a symbolic analog of the Creation. Lo Giudice is working in the formal system of the contemporary art, but still retains a sense of belonging to nature in his creative work, whether it is the geological processes or the impressions of the day.